MillionPlus Private Finance, the specialist private finance consultancy division of largemortgageloans.com, will sponsor rock star and racing driver Rick Parfitt Jnr as he competes in the 2013 British GT Championship, driving a Ginetta G50 sports car for Optimum Motorsport in the GT4 class. After three rounds of the championship so far, Parfitt and his driving partner Ryan Ratcliffe are in third position overall. But there is a long way to go until the tenth and final round at Donnington on 5 October 2013. MillionPlus Private Finance (www.millionpluspf.com) arranges private finance facilities in excess of £1 million for international entrepreneurs, business leaders and professionals and their families across all asset classes, including aviation, marine and property finance. This weekend sees the series racing at Silverstone, with VIP guests including Sophie Anderton and Frankie Muniz, star of TV sitcom ‘Malcolm in the Middle’ and a keen race car driver himself. If you would like to be in the pit lane at Silverstone this weekend, call Paul Welch now on 020 7519 4960 or email him on pw@millionplus.com. Limited places are available now. MillionPlus Private Finance will also be supporting Rick in his fundraising work for the RPJ Crohn’s Foundation. As someone who has battled with Crohn’s Disease throughout his life, Rick started the foundation to raise funds to support the work of the National Association for Colitis and Crohn’s Disease (NACC). The foundation’s first fundraising event, the Rock Ball, took place in March 2010 and was a massive success raising lots of money for the charity. There have since been two subsequent Rock Balls and The Rock Ball 2013 plans to be the biggest and best yet. For more information on The RPJ Crohn’s Foundation or the Rock Ball please call 020 8941 6803 or email info@rickparfittjnr.com. Alternatively, you can donate much needed funds for research into Crohn’s Disease athttp://www.justgiving.com/RPJ-Crohns-Foundation. MillionPlus Private Finance is a specialist private finance consultancy, which combines financial planning and private banking expertise to help clients who are looking to borrow in excess of £1 million to finance all asset classes. It can arrange private finance for clients in over 50 countries around the world. The highly qualified and experienced MillionPlus Private Finance team have specialised in this sector for 10 years, building an extensive network of global relationships with private banks, managing enquiries of over £2 billion of private finance in 2012 for some of the world’s most affluent individuals. MillionPlus Private Finance is a trading name of largemortgageloans.com Limited whose profile and reputation has been greatly enhanced by winning 4 British Mortgage Awards in the Large Loans Broker category in 2009, 2010 and 2012 (the first broker to do so) and the Business Leader Broker (under 20 advisers) category in 2012, as well as a Mortgage Strategy Award in the Specialist Broker/Distributor category in 2013. Three leading UK-based entrepreneurs have an interest in MillionPlus Private Finance, having invested in largemortgageloans.com Limited (of which MillionPlus Private Finance is a trading name) backing the brand in its plans to build a global business that offers tailored residential and commercial finance solutions for successful entrepreneurs and professionals: Jon Moulton (Investor), Eric Cater (Chairman & Investor), Neil Redcliffe (Investor),Alan Burgess (Investor). MillionPlus Private Finance is a trading name of largemortgageloans.com Ltd.
largemortgageloans.com Ltd, 12 Pepper Street, London, E14 9QY, is authorised and regulated by the Financial Services Authority. The Financial Services Authority does not regulate commercial mortgages, some aspects of buy to let mortgages, overseas mortgages and tax advice.  largemortgageloans.com Ltd Registered in England and Wales No: 5070990 Registered Address: Bridge House, London Bridge, London, SE1 9QR.